This is a very unusual item - and probably exceptionally rare - as I have never seen another one quite like it. 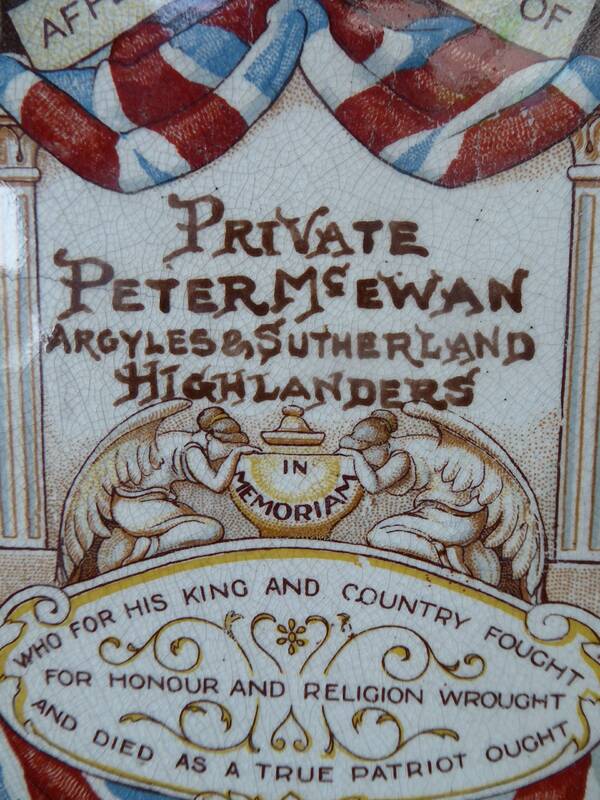 It seems to be to be a memorial plaque and probably dating to early in the war perhaps around 1914. 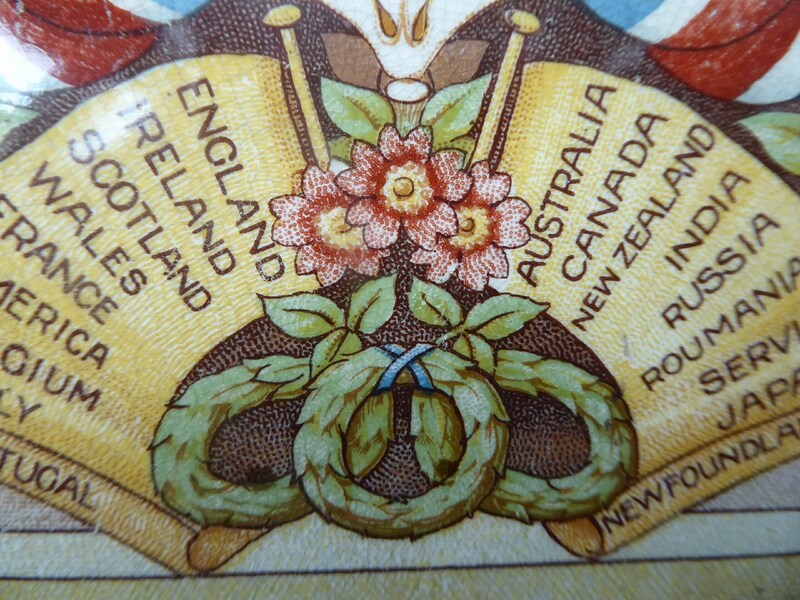 It is certainly Edwardian in style - and has more of a glorifying image and uses the word patriotic. Perhaps as the war progressed such an item was perhaps no longer deemed so fashionable or perhaps appropriate and not many more we made after 1914. 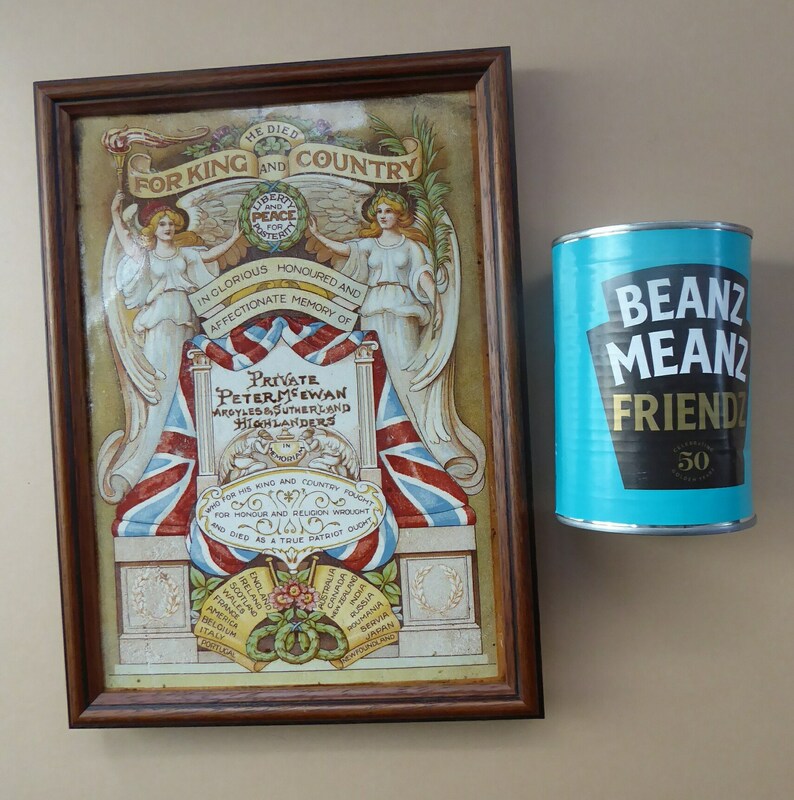 It is just absolutely fantastic condition - with no chips, scuffing or any condition issues of any kind - it looks as if it has been kept away in a drawer since the day of its creation. As I have said I have never seen another quite like is - and have had a look online and other examples still allude me. The frame measures about 10 1/2 x 7 1/2 inches. 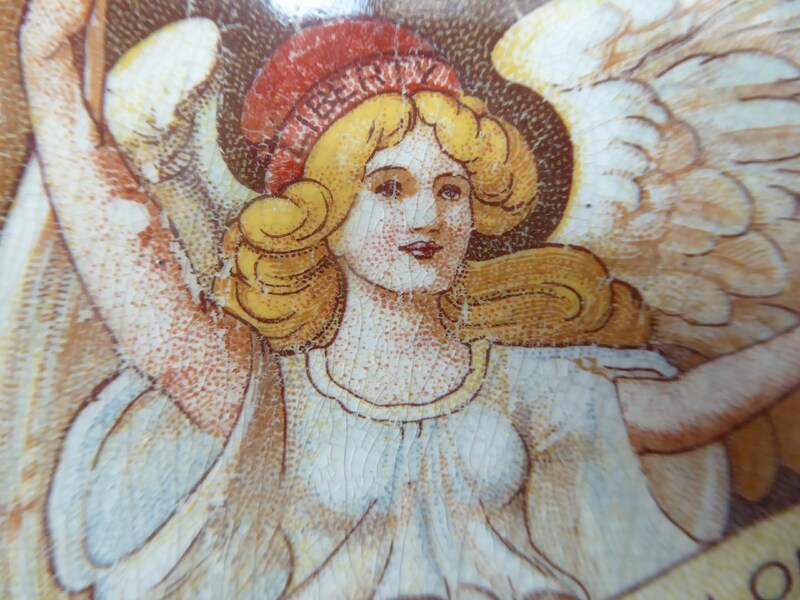 The image is very High Victorian / Edwardian in style. 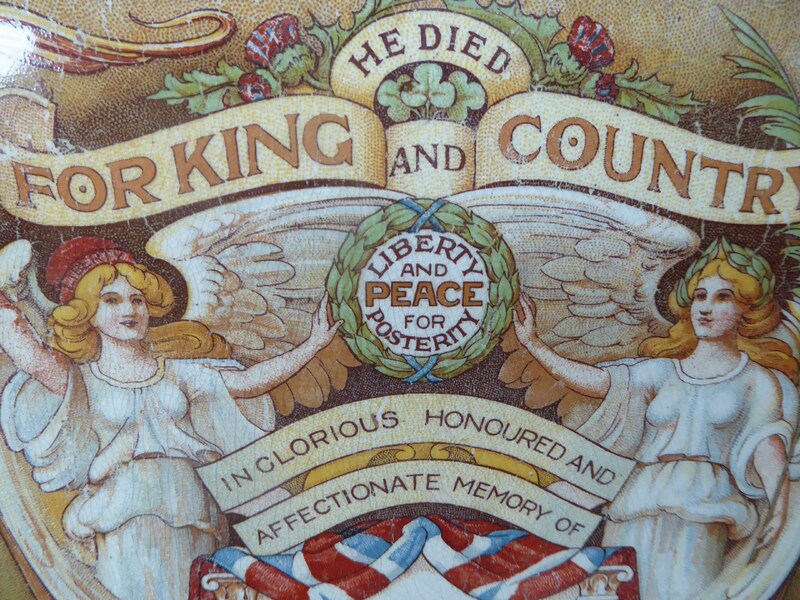 The lettering is all photographed for you - the name seems to have been applied later onto a blank section on the tile - and then fired. They have even managed to spell Argyll as Argyles... oops! 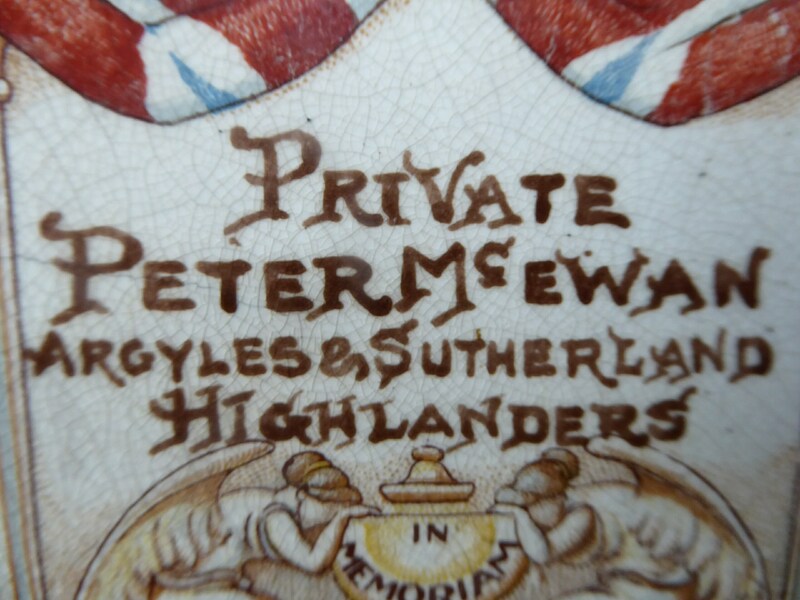 I have found a reference to a Peter McEwan who seems to have been serving in this regiment in early 1915 - and went straight to the forces from his school Greenhill School, near Falkirk. 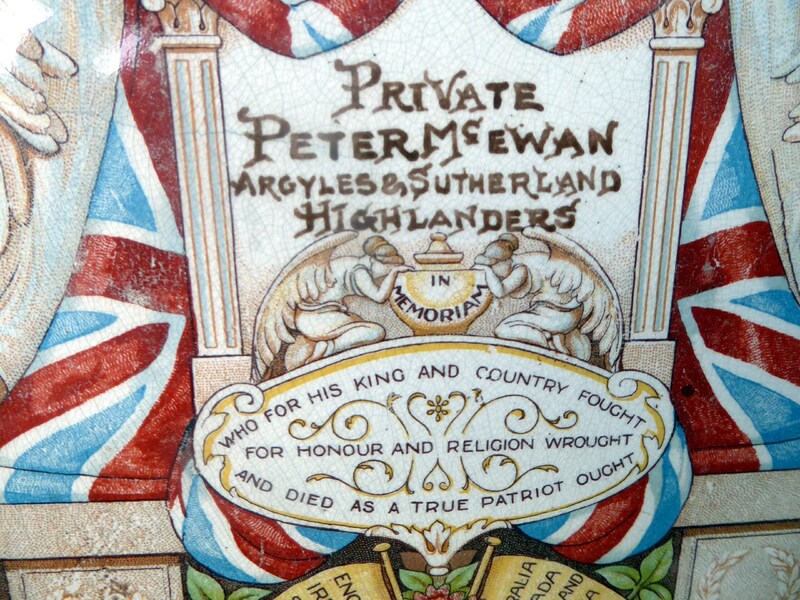 There is a museum for the Argyll & Sutherland Highlanders at Stirling Castle - so perhaps they could shed more light on the history of this interesting and rare memorial tile. 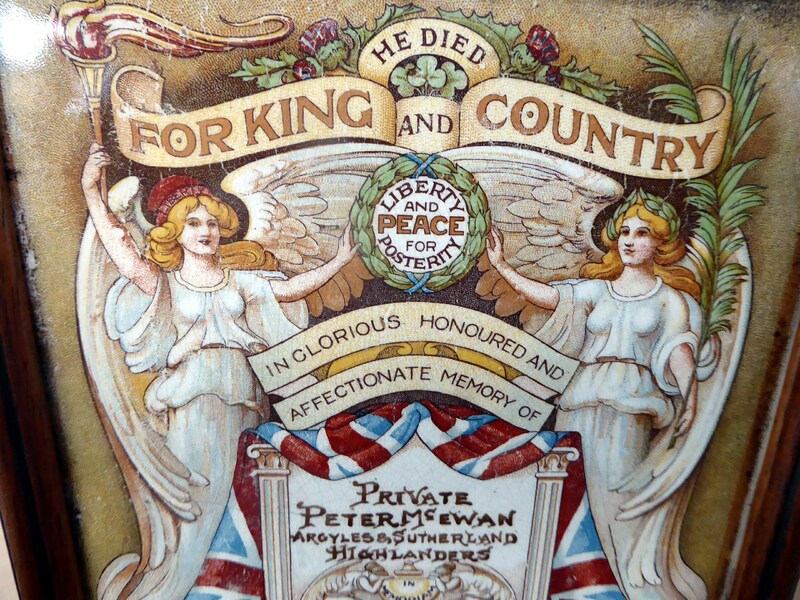 The imagery is certainly most interesting - with a central plaque with the Privates name on it - with an urn and two figures mourning to each side. 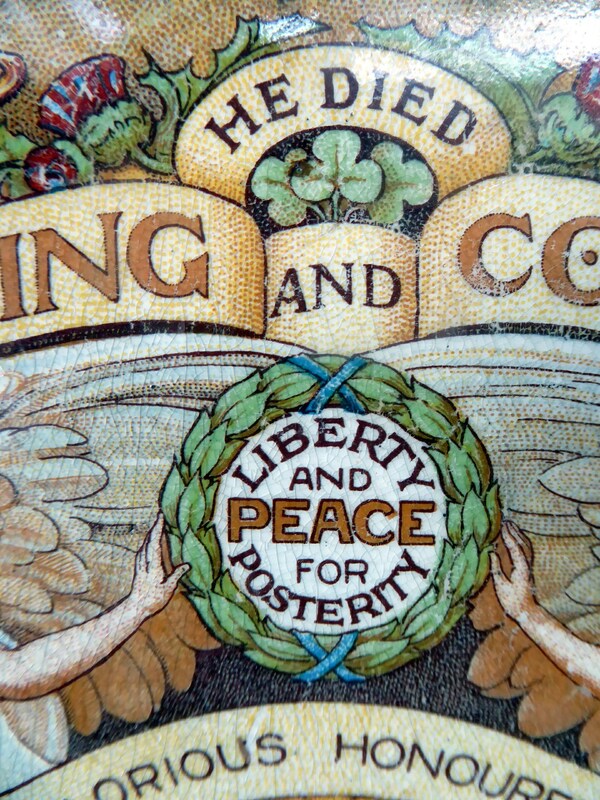 The plaque is draped with the Union Flag - above in a wreath is the motto: Liberty and Peace for Posterity - this is held up by two Angels - they represent Victory as one holds a palm and the other a flaming torch. Below are two flags with names of all the participating countries taking part in the dreadful conflict. I have removed the tile from the frame to see if there were any other details on the back - but there was nothing there to add to my description. 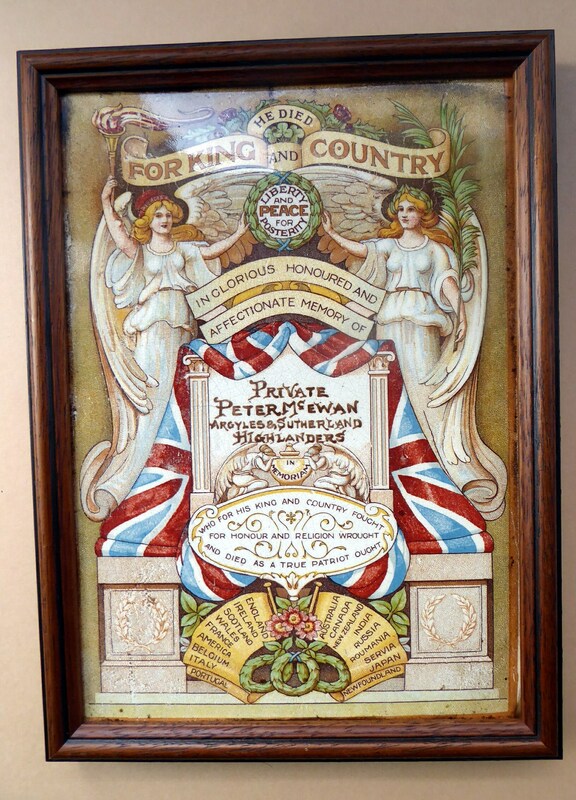 Given my tiles rarity and exceptionally fine condition - and its links with the regiment - I am listing this fine memorial at a very fair price - not only is it interesting historically but also decoratively it is quite exceptional. Please feel free to ask me any further questions - as mentioned a very rare item.